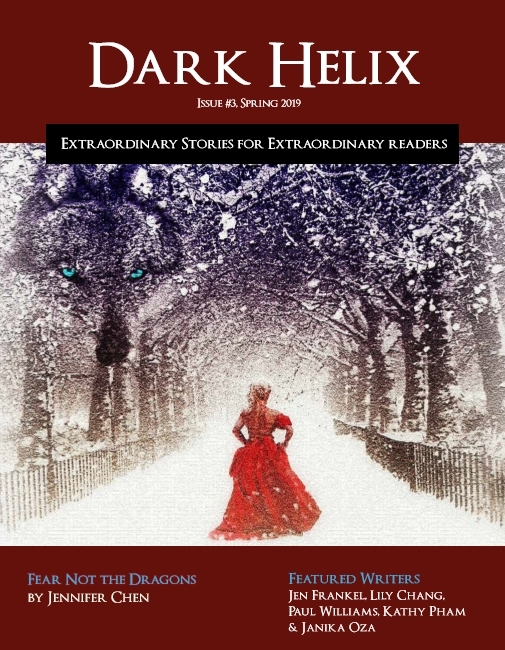 The Dark Helix Ezine is a FREE speculative fiction magazine designed to showcase new authors from around the planet. Each issue will feature an opinion piece from an editor and feature five writers who will share new stories as well as a behind the scene interview to give readers some insight behind words. To access the free ezines, please click on the magazine covers/links below and submit your email address. The ezine master list is the same for all issues, even after entering your email address multiple times, you will only receive one update when a new issue of the ezine comes out. Details for submitting your work for the next issue can be found here. 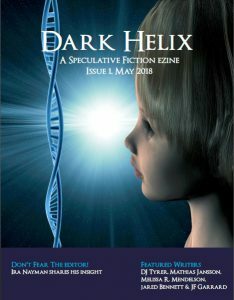 For this issue, authors were asked to write stories inspired by DNA with a touch of darkness! Stories range from mutations in DNA to AI controlling the fate of humanity. The Q &A after each story gives a glimpse of how or why the story was written. Please enjoy! 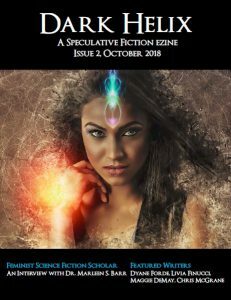 An issue featuring strong female protagonists, we have an awesome interview with a real life feminist science fiction scholar, a story about the temporariness of the world, an amazing poem about a legendary woman and two stories within apocalyptic worlds in which women are pushed to their limits. A new year means resolutions to many, especially writers who want to finish many projects! 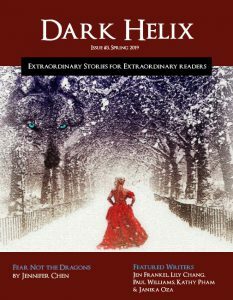 This issues features stories with characters encountering new beginnings and fighting words to help authors continue on their brave journeys!